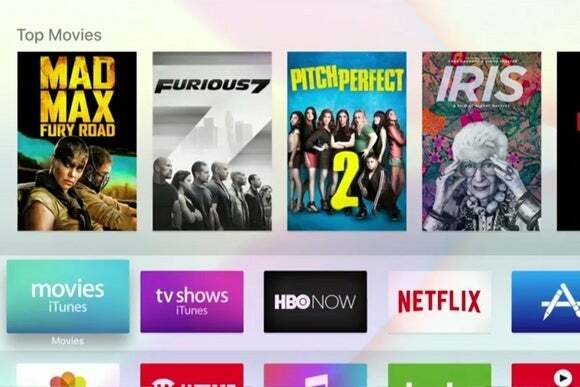 Apple’s set-top box is getting its long-awaited overhaul, with more apps and a serious emphasis on gaming. Apple is re-entering the living room with the 2015 Apple TV, a new set-top box that streams video, plays games, and uses Siri to answer your every entertainment whim. The last time Apple upgraded its living room hardware was more than two years ago, and even that was a minor refresh of the 2012 Apple TV. The new version is a significant upgrade, packing more powerful hardware and a full-blown app store. While the basic shape of the new Apple TV hasn’t changed, it is about 10 mm taller than its predecessor, presumably to make room for all the added computing power under the hood. Gone is the crusty old A5 processor, and in its place is a 64-bit A8 chip. Around the back, there’s HDMI and Ethernet, but apparently no optical audio output. 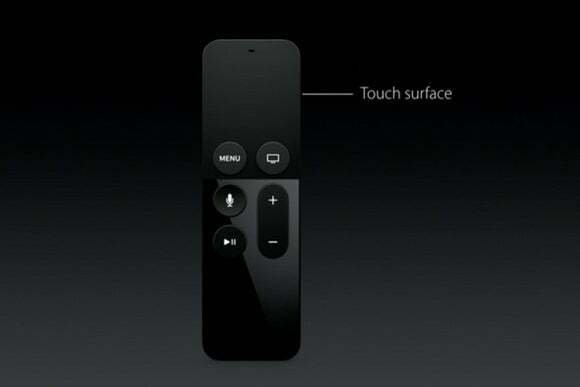 At first glance, the new Apple TV sports a similar interface to that of its predecessor. A strip of recommendations sits on top, followed by a list of apps underneath. The big difference now is that there’s an entire App Store, rather than a preset list of Apple-curated selections. Streaming media apps such as Hulu and Netflix will be present, as they were on the old Apple TV, but Apple is also inviting new kinds applications that aren’t strictly about entertainment. Gilt, for instance, will let users go clothes shopping on the big screen, while Zillow will launch an app for real estate hunting. 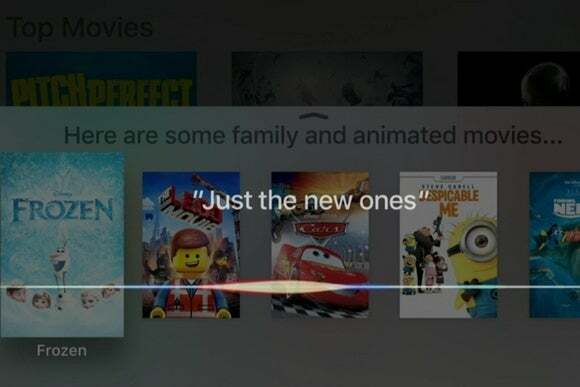 Apple is referring to its television software as “tvOS,” and will offer a software development kit for app makers.The interface also has a refreshed the look and feel of the software, ditching the staid black background of the old Apple TV, and using lighter colors and transparency effects. Beyond the visual interface of Apple TV lies one that’s entirely controlled by Siri, Apple’s virtual assistant. You can use Siri to open apps by voice, or ask for specific movies, TV shows, or actors. Drawing on iOS 9’s cross-app search features, Siri will be able to dig up content from individual apps such as Netflix, Hulu, HBO Now, and Showtime. Siri can also bring up contextual information while watching a video, such as the actors in a given scene. And if you ask “what did she say?” after a line of dialog, the video will rewind by 15 seconds and play the segment back at a higher volume. The new Apple TV remote is a sharp departure from the previous one—and from all other media streamer remotes, for that matter. Instead of directional buttons, Apple’s remote uses a touchpad for navigation, letting users swipe to move through menus quickly or scrub through video playback. The remote does have a handful of physical buttons, however: a home button, a Siri button, a play/pause button, and a volume rocker. Whereas the previous Apple TV remote communicated strictly via infrared, the new remote uses Bluetooth, so users no longer need line-of-sight to the set-top box. Infrared is still included, presumably for controlling TV volume, and HDMI-CEC support will let Apple TV automatically turn on the television and switch to the correct input when you power it up. The remote’s built-in battery lasts for three months, and recharges via Lightning cable. Apple is touting Apple TV as more than a media streamer. It’s also a lightweight game console, following in the footsteps of Amazon’s Fire TV and Google’s Android TV platform. The difference here is that Apple is building a console around its default, bundled remote instead of requiring users to bring their own controller. Onstage, Apple brought out the developers of Crossy Road to show off a multiplayer version of its iOS hit, and Rock Band developers Harmonix demoed a rhythm-sports hybrid game where players swing the remote like a baseball bat (similar to Nintendo’s Wii remote). Users will also be able to connect third-party controllers for navigating Apple TV and playing games. Apple’s presentation left some questions unanswered. For instance, the company didn’t talk about controlling Apple TV with other devices such as iPhones, iPads, and Apple Watches, and there was no word on any updates for AirPlay. It’s unclear exactly what app developers can and can’t do with the new SDK, and Apple didn’t say anything about HomeKit integration either. Given how packed Apple’s presentation was, we suspect some of these details will be filled in before launch. Apple hasn’t given an exact release date for the new Apple TV, but says it’ll launch in late October. The base model will cost $149–more than twice the price of the current model–and will have 32 GB of storage. A 64 GB version will cost $199.